We could hear her before we could see her. The spiritual notes of Kumbayah hung in the air, beckoning us, literally, to come by here. The soulful sounds weren’t the way we expected our visit to a southern plantation to begin, but as we learned about the history of Boone Hall Plantation and all the people who lived there, the welcome made perfect sense. There’s no way to truly tell the story of plantations in the South without acknowledging how these plantations existed and ran. The story of the people in the “big house” was only just a part of the narrative. At Boone Hall Plantation just outside Charleston, South Carolina, the enslaved people who worked the land are given at least equal billing to those who owned it in the tale of the plantation’s past. A slave cabin not far from the main house became the Gullah Theater as Jackie Mickel told the story of the African slaves who lived and worked on the plantation. Hair tucked under a turban, long skirt whipping in the wind, she is barefoot in the summer. 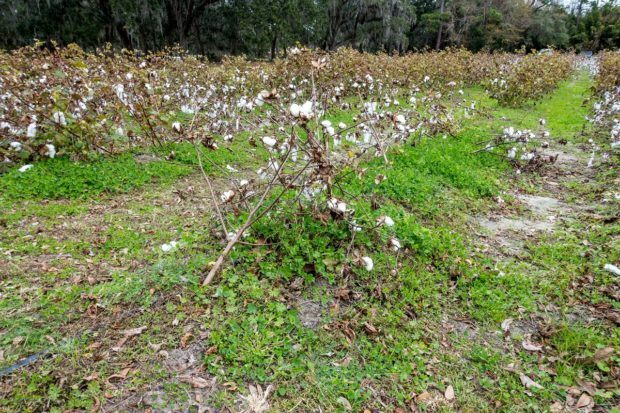 But on the first cold day of the year in South Carolina just before Christmas, she had shoes and a scarf—comforts not likely afforded to her great-great-grandmother who was enslaved only a few miles away. We’d been to a plantation before, but noting we saw there prepared us for this. With a strong voice and mesmerizing storytelling skills, Jackie unfolded the history of the Gullah Geechee people. From West Africa (now Angola), the Gullahs were brought to the area between Jacksonville, Florida, and North Carolina to work the plantations. They were isolated for generations and kept their dialect and culture, which often confounded the plantation owners. At Boone Hall, the Gullahs’ original purpose was to tend the rice fields, just one of the many crops grown on a plantation that once sprawled to 4800 acres. Among songs and anecdotes, Jackie talked about life on the plantation—the hierarchy of where the slaves lived, the work they did, and the legends they told that have helped keep their traditions alive today. She also spoke about the realities of being enslaved, from eating out of a trough to the knowledge that even if a couple had permission from the master to “get hitched up,” it was no guarantee that one spouse wouldn’t be sold. Sitting behind a slave cabin, it’s impossible for the stories and songs not to hit you hard. The presentation was emotional and impactful. But, somehow, we left the Gullah Theater focused more on respect and admiration for these strong people who survived than dragged down by what they endured. 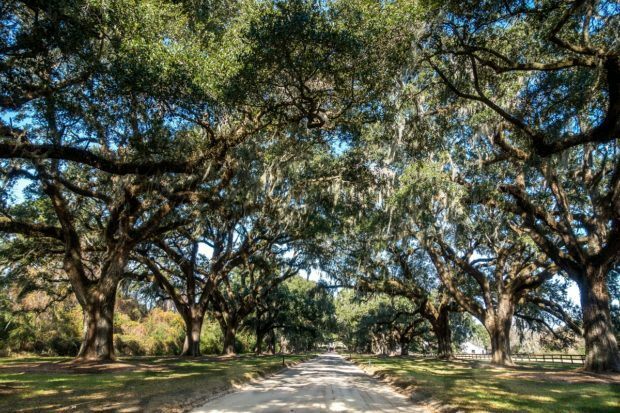 The history of Boone Hall Plantation began in 1681 when Theophilus Patey received a 470-acre land grant in what is now Mount Pleasant, South Carolina. Patey gave the land to his daughter and her husband, Major John Boone, as a wedding gift. In the early years, development on the property was modest, with just a small cabin housing the Boone family. Boone himself was a leader in the South Carolina colony but ran into problems due to unsavory dealings in the illegal Indian slave trade and even associating with pirates. Since that time, two or three more houses have stood on the property. On the surrounding land—which, at one point, grew to 10 times its original size— everything from rice to cotton to strawberries has been grown. Over the last 300 years, the property has been home to thoroughbred horses and owned by farmers, businessmen, and even a Georgian prince, but the legacy belongs to the Boones. For over 130 years, the Boone family ran the land. 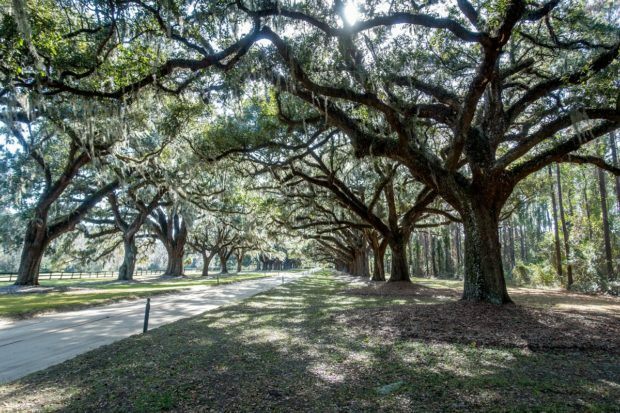 They funded the property’s expansion by growing indigo, built a Georgian farmhouse, and planted the magnificent mile-long Avenue of the Oaks in 1743 as a sign of their growing wealth. Their dozens of enslaved workers tended the fields and the home and lived in a series of cabins that now feature exhibits about their lives. 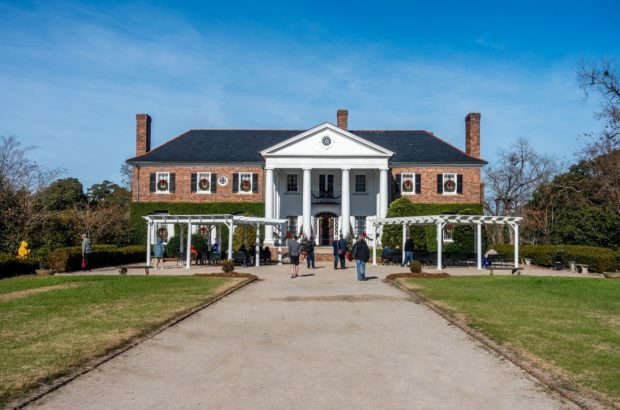 By 1817, the Horlbeck family owned the Boone Hall Plantation and became major players in the brick industry. In the decade leading up to the Civil War, the Horlbecks and their slaves produced up to 4 million bricks a year. The bricks were literally the foundation upon which antebellum Charleston was built. After the Civil War, the focus shifted to pecan farming. At one point, Boone Hall became the largest pecan producer in the US. One of the oldest plantations in the US, Boone Hall was established shortly after the founding of the Carolina colony, lasted through the American Revolution, saw the birth of a new country, and survived the war that nearly split it apart. At nearly 340 years old, its history is truly a remarkable one. 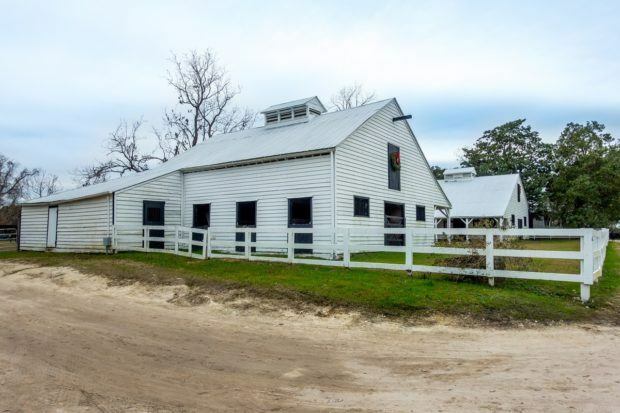 Since 1955, Boone Hall has been owned by the McRae family who still farms the land and opened the grounds for tours. They manage the current house, which was built in 1936, and live on the property. 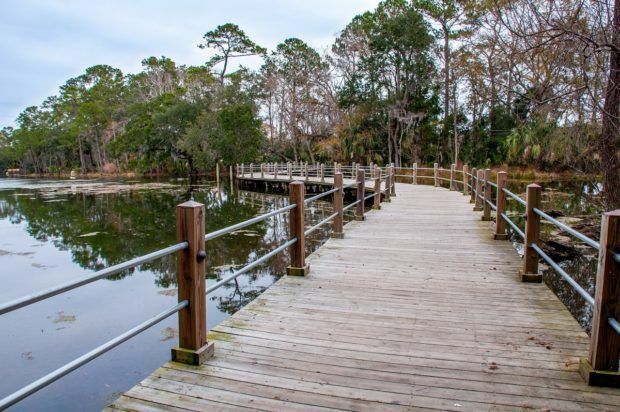 Thanks to the McRae’s development, visitors to Boone Hall have a wide range of tours to choose from. The “Exploring the Gullah Culture” experience, in which Jackie Mickel performs, is one-of a kind. 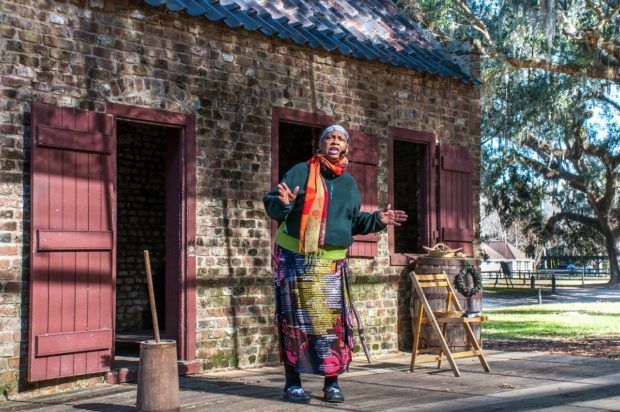 Boone Hall is the only plantation in the South Carolina Lowcountry that offers a live presentation about the Gullah culture and the enslaved workers at the plantation. 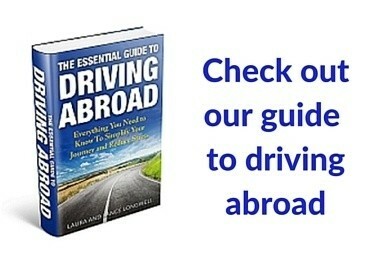 If it is available during your visit, don’t miss it. 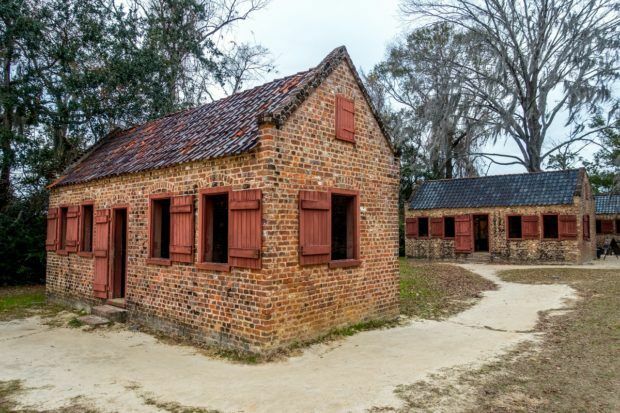 The complementary exhibits in the nine original slave cabins also give insight into what life was like for the slaves, and there are frequent guided visits that offer even more information. 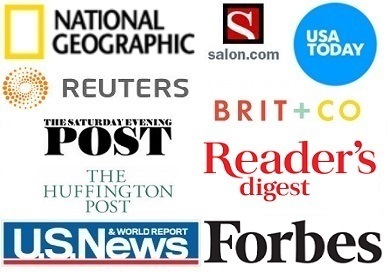 The house tour is also top-rated experience. 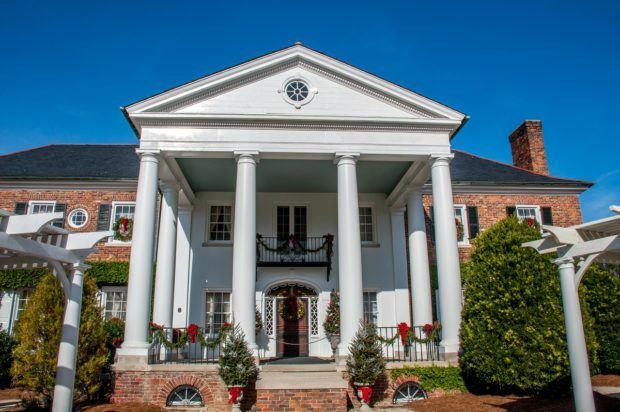 A walk through the first floor of the 10,000-square-foot mansion takes just a half-hour, but you get insight into the lives of all the people who have called Boone Hall home over the centuries. The tour of the Georgian-style home is given by a guide in period dress who knows all there is to know about the elegant touches inside. From the vaulted ceilings to the hand-painted China and the old family photos and even older property maps, we got to see it all. Although the farm wasn’t in full-swing during our December visit, touring the massive grounds from one end to the other was also informative. 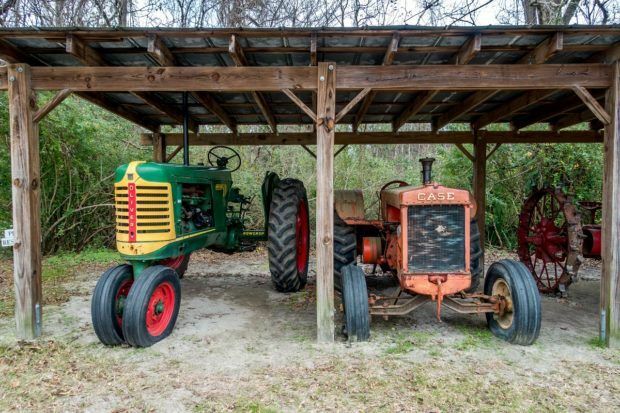 A half-hour tractor ride took us through the history of the plantation by way of its crops, which powered much of Boone Hall’s success. In warmer months, guests can take a self-guided tour of the garden and visit the butterfly pavilion. We chose Boone Hall because of its location near Charleston and because of its inclusion of the slave stories. 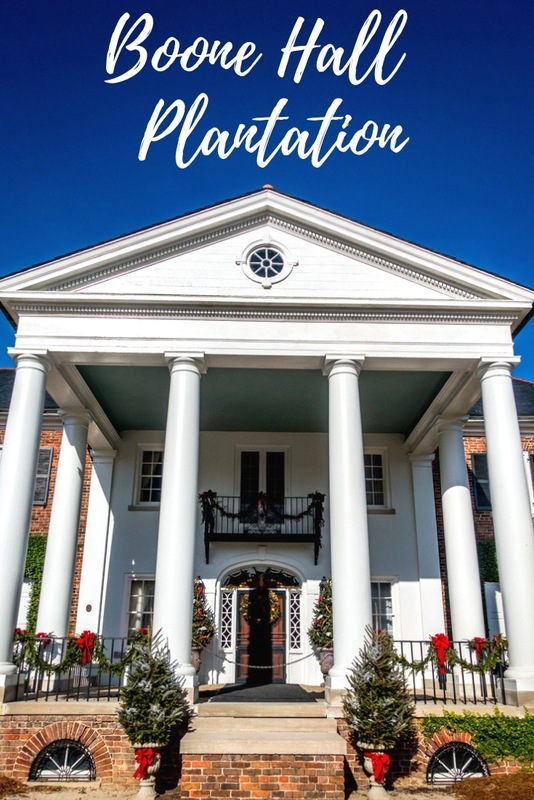 Other Charleston plantations charge multiple fees to see different parts of the plantation, so having all the different tours and experiences included in the basic admission price was a significant bonus.